Welcome to the Roller Kingdom Blog! 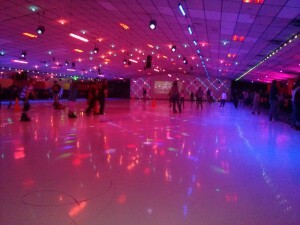 We at Roller Kingdom offer one of the most outstanding roller skating experiences in New England! We may have two locations, but we have one landing place on the web. This landing place includes our new blog. Perhaps you are wondering what sort of information you might be finding on a blog from Roller Kingdom. Well, it is our intention to bring our traditions, memories, and family-friendly fun to life through our blog! We want to share all things roller skating and Roller Kingdom! On our blog you will find information about the benefits of skating, the sports of skating, the people in skating, learning to skate, and so much more. We will also share all things Roller Kingdom! You will find out about our events, birthday parties, skate lessons, lasertag, and the list goes on. Please join us here as well as on Google +, Facebook, and Twitter. Help us get the word out about the premier skating experiences that Roller Kingdom provides in Hudson and Tyngsboro!